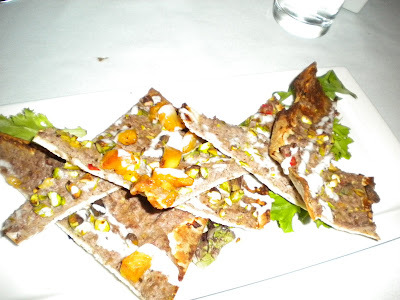 My first visit to Top Flr was fabulous (read first review). Unfortunately, the second was sprinkled with kinks that make me question this place's great reviews. Let's start with what did work: the tuna tartar is still on point and we also really enjoyed the white bean hummus. I would recommend these starters with no reservations. The tuna is really a spectacular creation that I could eat almost daily. The problems started with the sweet potato succotash, which on my previous visit, was spiced, creamy and delicious. This time it tasted like the kitchen tried to quick-cook the potato in the microwave - it was not even soft; also, the sauce lacked salt - something rare these days from restaurant kitchens - and the jalepeno cream was virtually nonexistent. This was so disappointing after raving about this dish on our last visit. Upon my complaint the server did take it off our check, however, which was certainly an appropriate gesture. The other items we ordered as a main course: the duck pizza, the goat cheese ravioli and the mac & cheese were not outstanding to me. The duck on the pizza was dry; the ravioli consisted of a small portion of noodle/cheese with some crabmeat and mushrooms, an interesting concept that did not work for me. The mac & cheese was cheesy and tasty but too thick - it seemed like it needed some kind of liquid or additional spice. For dessert we ordered the pear tart with cardamom ice cream. The main reason I ordered this was because I wanted to taste the interplay between the cardamom and the pear tart. The tart came out with a scoop of raspberry sorbet. When I asked the person who brought out the dish (who offered no explanation initially and was already on to the next table when I called him back ), he really did not seem to know what was going on. The waiter didn't say much either and did not offer to comp the dessert. The sorbet didn't go with the tart at all and although the tart was tasty itself, the experience was ruined for me by the lack of information about the change. I know you should not judge a place by one bad experience but it will be difficult for me to come back for awhile following these mishaps. Apparently the restaurant is packed on Mondays for their continuing $15 menu. Top Flr has a very cool vibe, a nice beer and cocktail list and some creative food, but based on my two experiences there is dramatic room for improvement on consistency and communication. 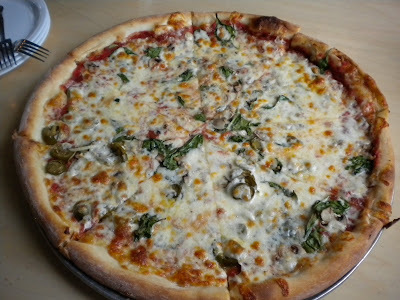 Although I've lived in Atlanta for 2 1/2 years now, somehow this was my first visit to Fellini's Pizza, which has several area locations. Their spinach mushroom pizza combines the obvious with extra cheese and garlic to create a tasty pie. We also shared a salad, which was not very remarkable but did the trick of making us feel like we had something healthy. The extra cheese was actually too much for me so next time I'll tell them to leave off the extra & maybe add some sundried tomatoes! For my good friend Kimberly's birthday, several friends dined at Cakes & Ale in Decatur. 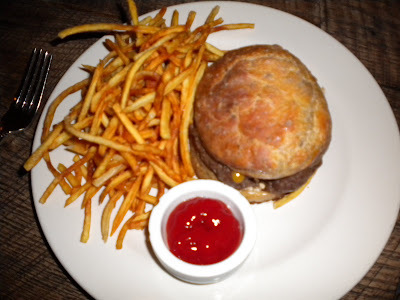 This place is small and inviting with a great, farm-fresh (short) menu that changes daily. 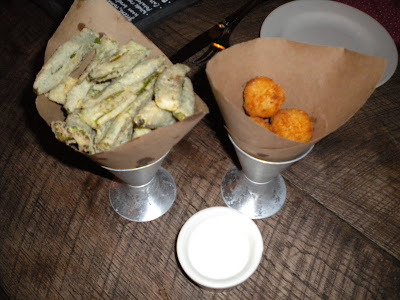 We devoured the fried okra and arancini (fried rice balls) along with some stellar bread and butter. Of course the Atkins-diet people are probably happy but I'd like to see a plentiful bread basket offered initially rather than the one slice per person that was left on our table (we asked for more and were brought - again - one slice per person)! Still, perhaps the dearth of bread made it taste even better and of course, it left room for more of their delicious food. I recommend this place for an intimate dinner for two or for a larger (but not too large) party. Cakes & Ale is a welcome addition to the Decatur dining scene and I hope to be back there again soon. The burger was a real standout. The combination of meats they use is different and perfect. I also like the shoestring fries. 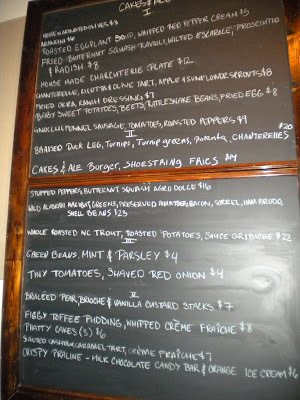 Chalkboard menu - changes daily. 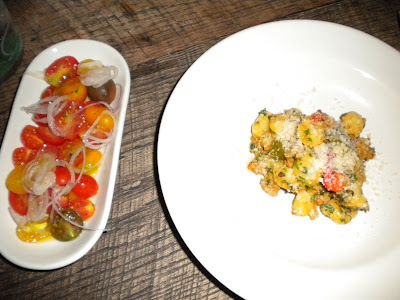 Tomato & onion side dish - so tasty - and gnocci with sausage. Duck with turnips and turnip greens. This dish disappointed me a bit as the greens were quite bitter. 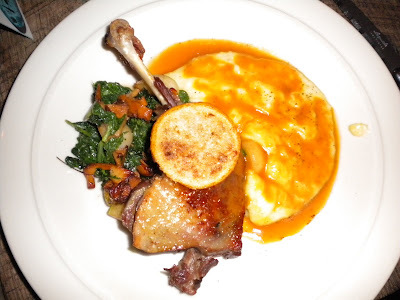 Still, I enjoyed the mashed turnips and the duck itself had a good flavor. 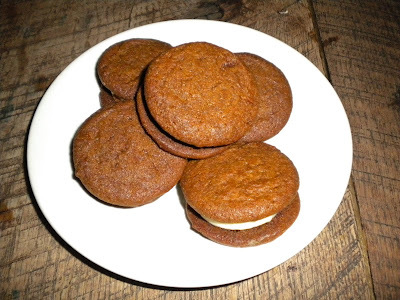 Phatty cakes - so addictive! Must try. 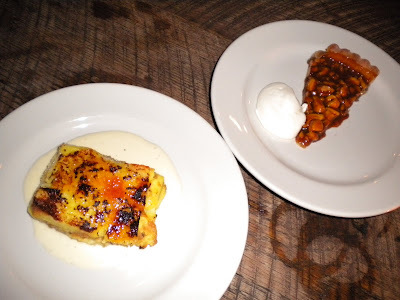 Sauteed pear, brioche and vanilla sauce and salted caramel tart - both excellent. 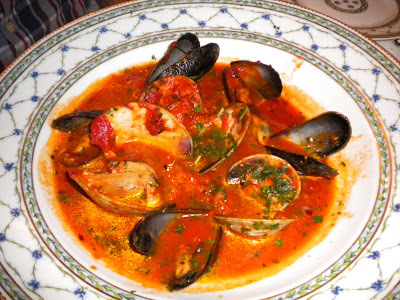 Clams & ussels in a spicy sauce - my favorite! Every year I try to make it to the island of Martha's Vineyard for at least a long weekend. The laid back culture, beautiful scenery and fresh seafood make for a relaxing and fun vacation - this is why President Obama decided to vacation here! My aunt and uncle own a very nice house with a great location on the island and graciously invite us to stay every year. For rental information, click here. This year Cal and I went over a long weekend in October - great weather and a fun time had by all (as usual). We ate out several times during our stay and enjoyed my aunt's wonderful cooking as well. 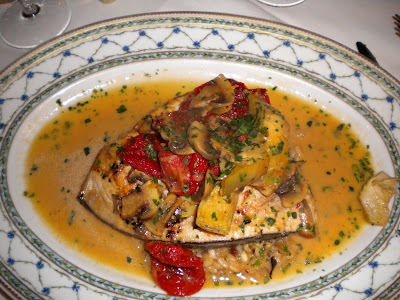 Near the beginning of our stay we dined at il tesoro in Edgartown at the Charlotte Inn. 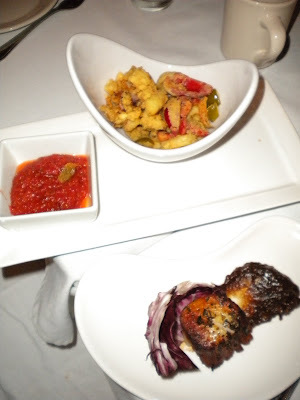 Overall I was pleased with the experience, especially the spicy mussel and clam appetizer my dad ordered (above), the pesto gnocci (below) and the dessert. 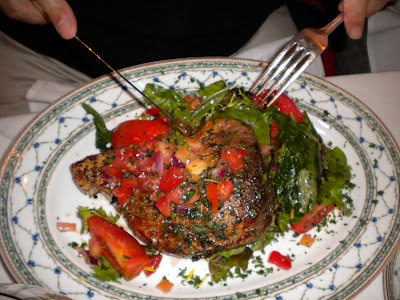 Tuna steak - very good. Seafood pasta special - not as flavorful as I would have liked. 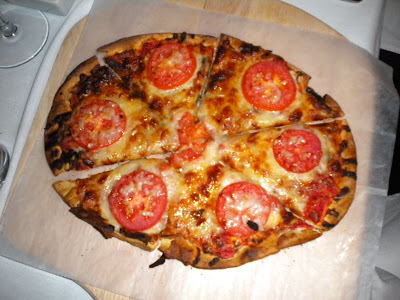 Next time I'll stick with the tomato version. Also, it was supposed to have lobster in it but I don't remember tasting any. 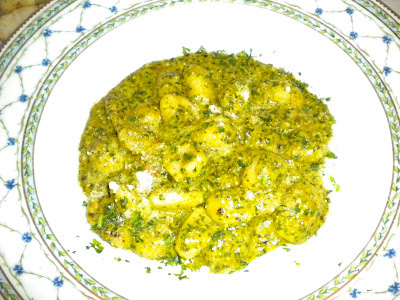 Pesto Gnocci - light and deliciously garlicky. Highly recommended by my cousin Amanda! 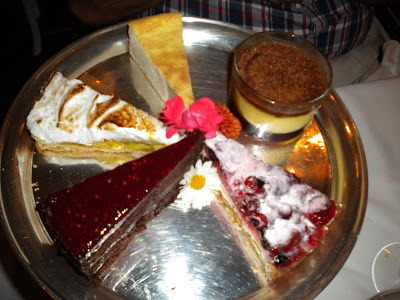 Dessert selection - we tasted several of these. My favorite was the berry tart. 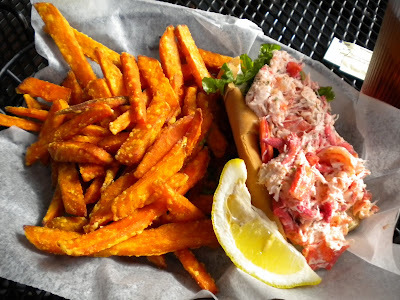 Had to go for a lobster roll - following a long bike ride, this was tasty and I enjoyed the sweet potato fries, too. 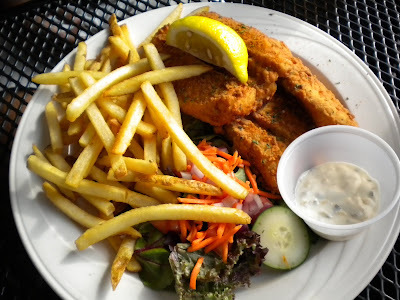 One day for lunch we went to Fishbone's in Oak Bluffs (not sure why their address on urbanspoon is listed as Vineyard Haven). Our lunch was fine and it was nice to sit near the boats docked nearby. Cal tried the Fish & Chips. 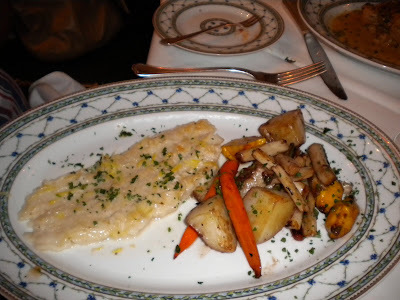 He liked this dish, although I think we were so hungry we would have enjoyed anything! 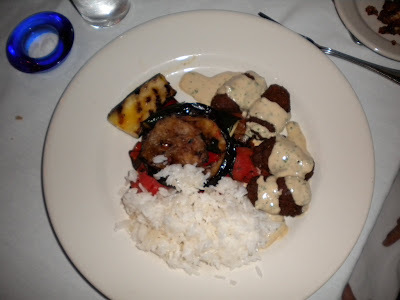 Our last night on the Vineyard we dined at The Mediterranean in Oak Bluffs. 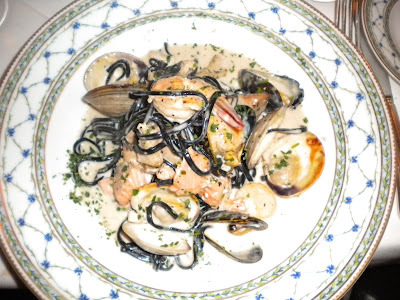 While some of the dishes were noteworthy and tasty, the entire experience was dampened by the extremely slow service and bloopers made throughout the evening including raw eggplant being served under a fried eggplant sandwich, cold food and bad coffee. The restaurant was practically empty so there was no reason for our meal to take 3 hours. Tapas portions of calamari and carmelized sea scallop with fig sauce - good. 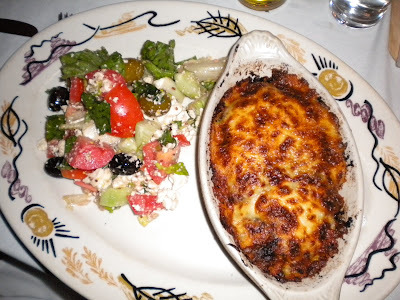 One of the Greek pasta dishes - I can't remember which one - not listed on the online menu. I do remember it was tasty. 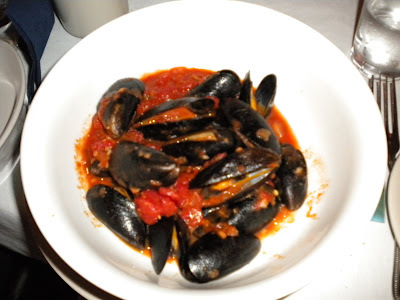 Mussel tangine - the best savory dish of the meal; interesting spices used to enhance the fresh seafood. Lamejun - an interesting melange of flavors but this version turned out dry. 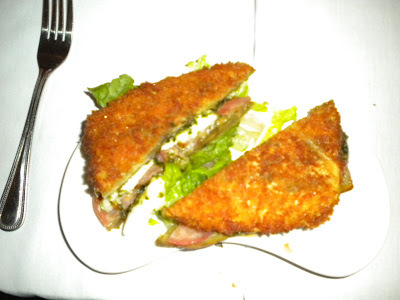 "The Stack" - for some reason this fried eggplant sandwich was served atop raw eggplant this evening - very strange indeed. 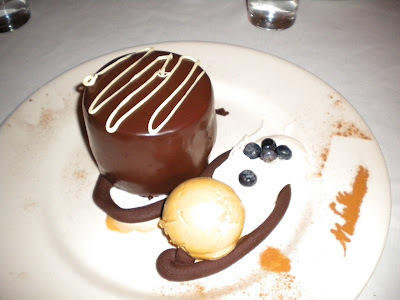 The best part of the meal with the burnt sugar ice cream that accompanied this giant and dense chocolate cake. 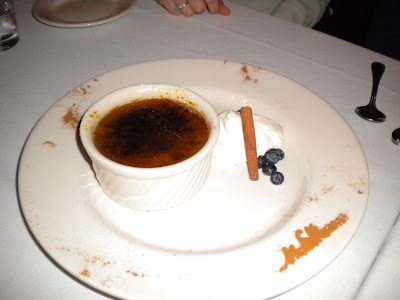 Mocha creme brulee was also tasty. Scallops, kimchee, mushrooms and bean sprouts on the grill. Several weeks ago we ventured to Honey Pig in Duluth following an outing to the annual JapanFest in Gwinnett county. I'd heard a lot about this place from fellow bloggers, but as I rarely get to Duluth, this was my first time trying it. 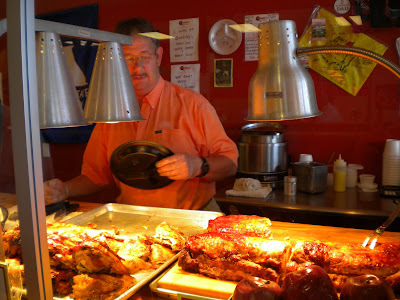 The pork belly is what to come here for; it was very tender and delicious. 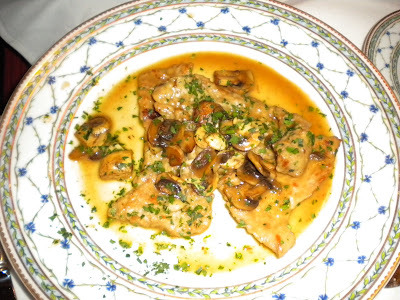 I also enjoyed the selection of mushrooms. We ordered scallops as well, which were okay but not worth their high price. In general this place was a little too expensive for what you get, in my opinion. Still, if you're looking for a nicer atmosphere and want Korean BBQ, this is a good choice. 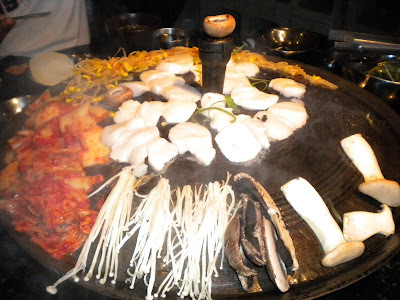 Personally, I would return more quickly to Han Il Kwan on Buford Highway - better prices and just as tasty. Also closer to home for me, but I'm sure others have differing opinions. 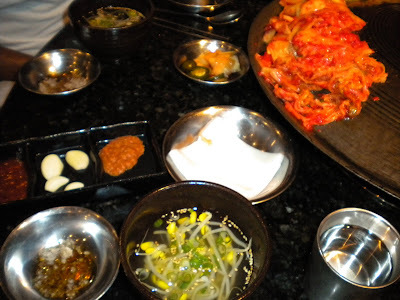 What is your favorite Korean restaurant in the Atlanta area (not just for BBQ)? Soup and a variety of sauces and side items were served with the meats. 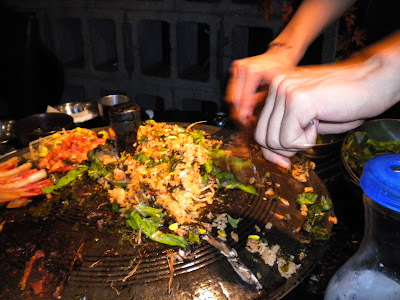 After you finish eating meat and veggies, the waiter makes fried rice on the griddle. 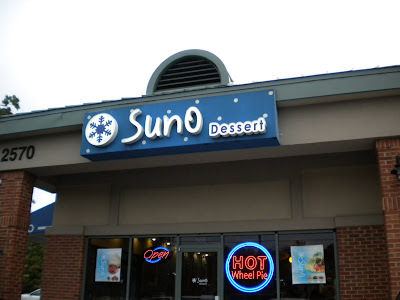 After dinner we headed to SunO, an Asian dessert shop specializing in creamy shaved ice treats. 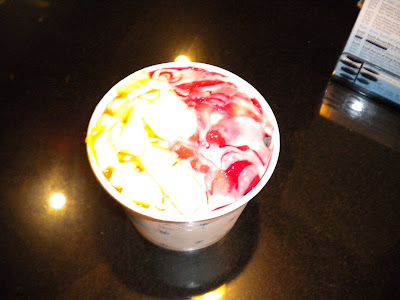 The ice itself is made with cream or milk and sugar, rendering the shaved ice flavorful. Then toppings are applied such as fruits, nuts, cookie bits and mochi (small sweet rice cakes) along with sweetened condensed milk and/or fruity syrups. 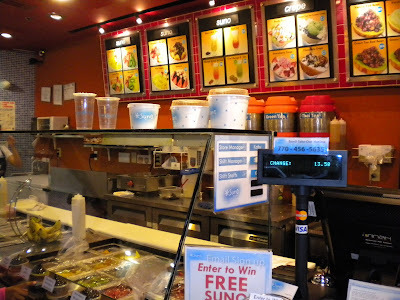 Also offered are various crepes, bubble teas and wheel pies. I love the taste of the shaved ice here and could eat is on its own easily - it takes me back to childhood when my mom used to make snow cream from freshly fallen snow. This was really a treat since we rarely had snow in Charlotte, NC! SunO is near a SuperH Mart in Duluth - a gourmet Korean supermarket that is also worth checking out for its great selection, prepared foods sections and food court. 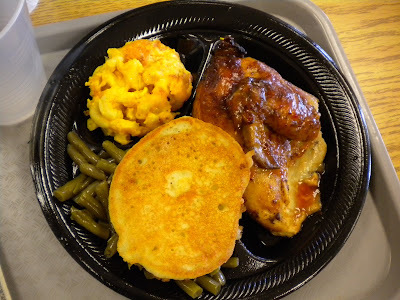 Chicken, mac and cheese and green beans with corn cake. 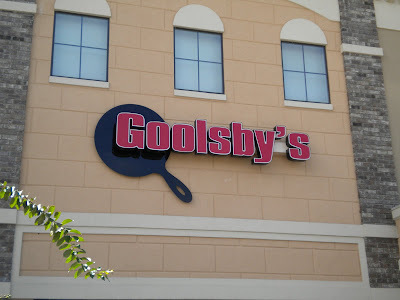 Following a final adoption hearing for some of my favorite clients, I dined at Goolsby's in Evans, Georgia (Columbia County, near Augusta). Southern favorites like baked and fried chicken, pork loin and shrimp are served up right here in a cafeteria-style line. There is also delicious peach cobbler. I really enjoyed my meal here, including the delicious BBQ sauce and chow-chow they bring around to the tables. I had sweet tea, too, which is unusual for me. I suppose the atmosphere called for it and I listened! I will return here for sure if I'm ever back in Evans. This gentleman will take care of you! 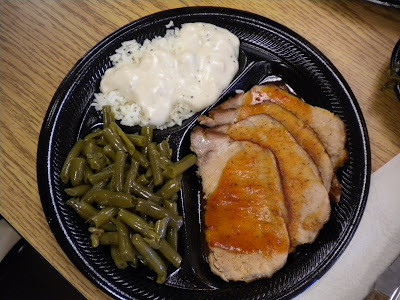 Pork loin, green beans and rice with gravy. 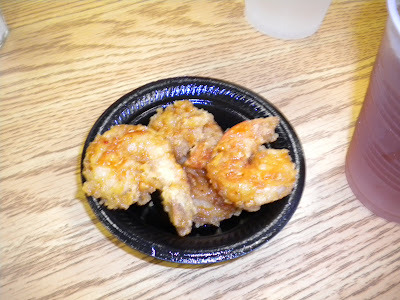 Delicious fried shrimp comped to us after my clients informed the restaurant of my blog! 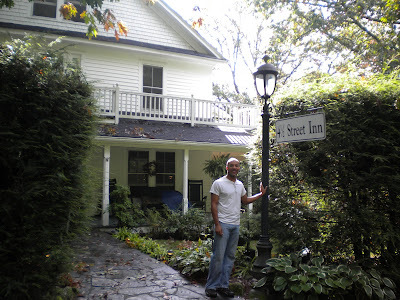 Calvin in front of the 4 1/2 Street Inn in Highlands, NC. In late September we were invited to a wedding in Highlands, NC. Having not been there for many years, I enjoyed researching places to stay. I am so glad that I found and settled on the 4 1/2 Street Inn. Owners and hosts, Helene and Rick, are, in a word, awesome and the inn is within walking distance of downtown Highlands. 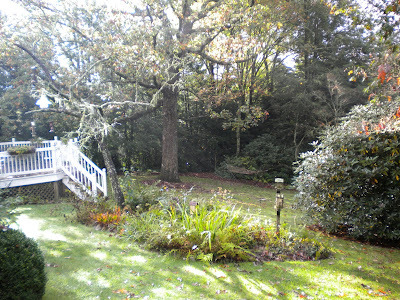 We enjoyed a quiet, peaceful two nights there, including fabulous breakfasts and fresh-baked cookies each afternoon. In the evenings, wine and nibbles are offered on the back deck. We also took a dip in the hot tub. Our room, #9 on the third floor, was charming - I loved the footed tub! As it rained heavily the day of the wedding, Rick drove us to the wedding site - this really went beyond what we would have expected. If you are going to Highlands, I really recommend this place. 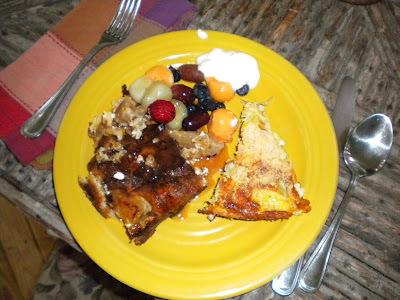 Our first delicious breakfast at the 4 1/2 Street Inn included French toast casserole - so tasty with maple syrup! Another great breakfast at 4 1/2 Street. Backyard at 4 1/2 Street. 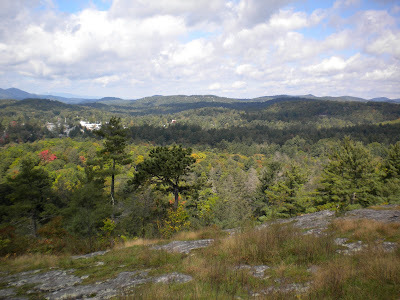 View from Sunset Rock, a short walk from downtown Highlands. BBQ from The Rib Shack. 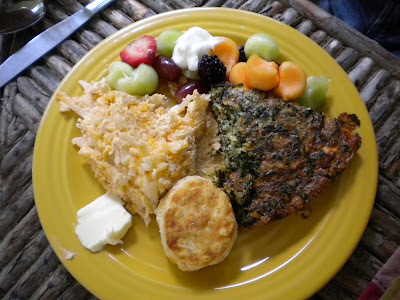 After arriving Friday evening and having our wine and snacks at the inn, we wanted a quick and inexpensive dinner. The Rib Shack hit the spot with great ribs and a brisket sandwich with sweet potato fries. After dinner we watched a local art/antique auction, which was a hoot - Calvin almost got Toni, my co-worker, to bid on something without her knowing it! Then we found Kilwin's Chocolate & Ice Cream on Main St. They get your attention here with free samples, including fresh fudge and warm waffle cones. We ended up with some walnut fudge and homemade ice cream. Luckily there is a Kilwin's in Atlanta, too - at Atlantic Station. 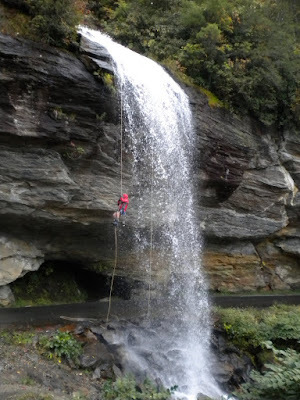 A brave soul climbs up Bridal Veil Falls. 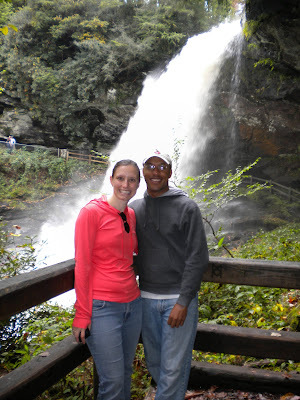 Amy and Cal in front of Dry Falls.